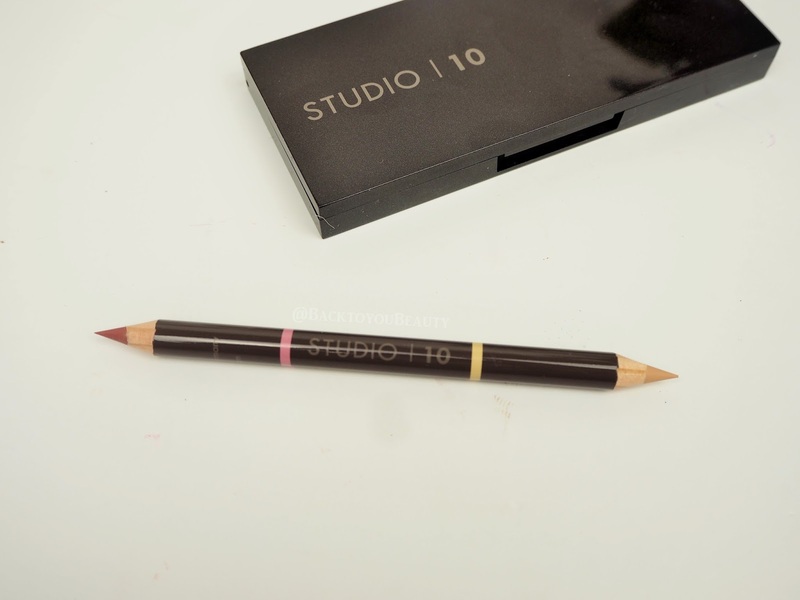 Studio 10 are an innovative brand created by Grace Fodor in 2013. 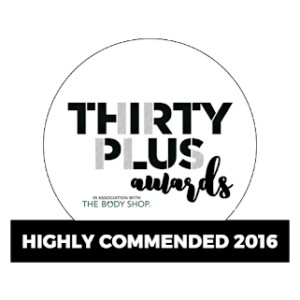 They pride themselves on creating products for more mature skin that are age perfecting, skin perfecting and help us look and feel our best with just a few very clever items. These products are so well made and so easy to use, they will become part of your daily routine. Grace used her industry knowledge and with the help of dermatologists and top make up artists was able to create a range that can give us all the skills to correct and conceal the sign of ageing, whilst giving us that youthful, peachy glow. To read more about Grace Fodor please go HERE and read an Interview I had with her last year. 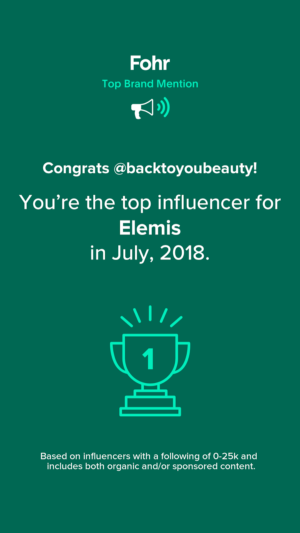 I first discovered the brand a couple of years ago when I tried the Colour Correcting palette that is by far one of the easiest I have used. 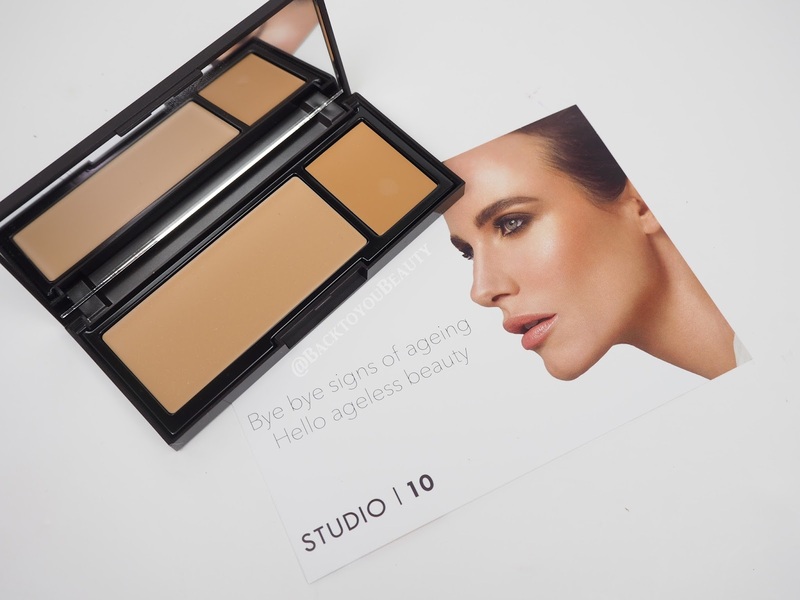 Today I am excited to bring you a complete collection of Studio 10 products that would be perfect for a first timer to the brand or for someone wishing to top up their existing collection. The PICTURE PERFECT collection contains 5 products that have been designed to give you flawless, radiant and glowing skin with perfectly shaped brows and lips in an instant. I have previously written a full blog post on this product HERE which goes into full detail and shows some great before and after photos so please check it out. However, in a nutshell this serum is a super fast fix to make you look and feel more awake. This breakthrough formula contains many anti-oxidant and anti-inflammatory ingredients such as Type 1 Collagen, Caffeine, Argan Oil, and a synergistic complex of Yeast, Saponosides and Flavonoids; Indian Pennywort (Centella asiatica), English Marigold (Calendula officinalis), Escin (derived from horse chestnuts), Green Tea (Camellia sinensis) and Butcher’s Broom Shrub (Ruscus aculeatus). 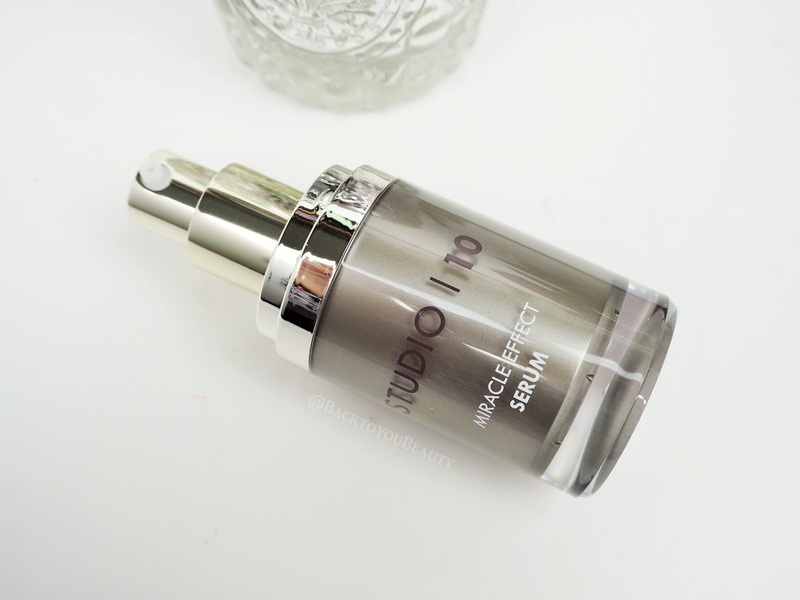 It has been clinically tested to reduce wrinkles by up to 16% in 15 minutes while delivering visible anti-ageing long-term results in just two weeks. I use this as my primer before applying my make up as it feels beautiful on the skin, I also use it as my serum after cleansing and before moisturising as it is a very versatile product. I gently tap one pump over my face paying attention to any lines and wrinkles and watch as they slowly begin to soften and look less harsh. It really comes in handy before an important appointment. Released at the end of 2016, this super compact foundation is incredibly easy to take with you and store in your make up bag. Housed in a sleek compact with a lovely sized mirror, this crème foundation is very easy to apply with a brush and covers the skin very evenly. It does contain two shades within your chosen range so that you can blend to achieve your perfect colour, depending on time of year etc and offers a buildable coverage. You can also use the darker shade as a light contour. 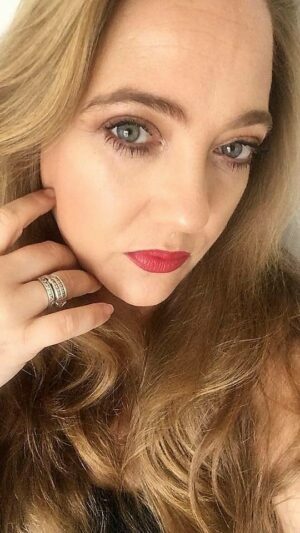 Now, it did take me a couple of tries to get used to this foundation as I am used to the fluidity of a liquid foundation, but found it lovely to apply with my damp beauty blender, I kind of dab it onto my skin and build up the coverage without creating a very cakey look. If you want something quick and simple and easily portable, then give this a try. I still prefer my liquid foundation, but this does work well on my dehydrated skin and looks lovely and dewy. I will also mention that I ALWAYS get complimented on my skin when wearing this foundation. I am wearing shade Medium. Comes in shades Light, Medium and Dark at the moment. This is like a holy grail product for me and makes such a huge difference to the look and shape of my lips, you really need to try it to believe it. 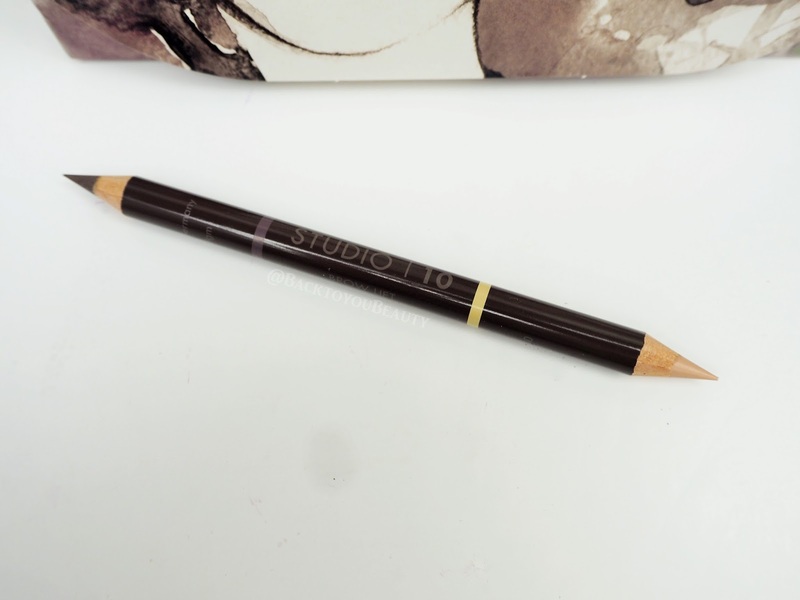 Infused with Coconut Oil, and anti-oxidant vitamins C & E to hydrate, condition and nourish lips, this is a super soft lip pencil. On one end you have a beautiful, natural pink lip shade and on the other a lovely highlight shade. I outline my lips with the pink end before applying my lipstick and then use the highlighter end to contour the lip by applying to the outer corners of the lip and also trace around the cupids bow! Its so, so, clever! It adds definition, shape, stops lip colour from bleeding and makes the lips looks full. This is an absolute must have for me. You can use this even if you are only applying a clear lip balm. Love it!! Ok, i’m not going to lie, I am very confused by this product. Described as a lip/cheek flush, I would put this as more of a lip flush due to the very buttery, nourishing, lip balm type texture. 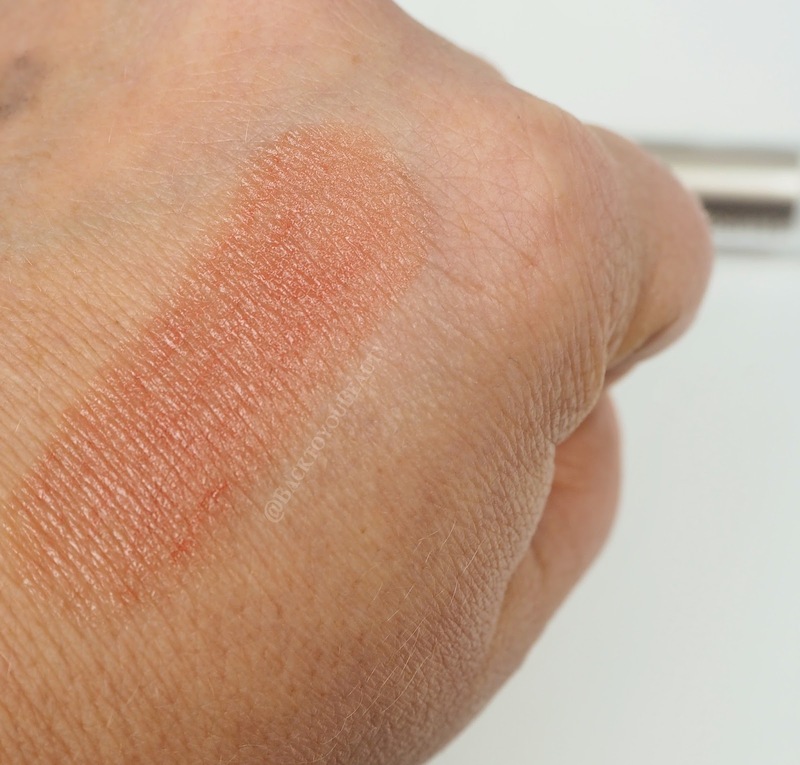 I believe the shade is Peach but as there is no shade name on the product, it is very hard to tell so I tried to match it up against the Studio 10 website, but it looks more light brown Cocoa to me. 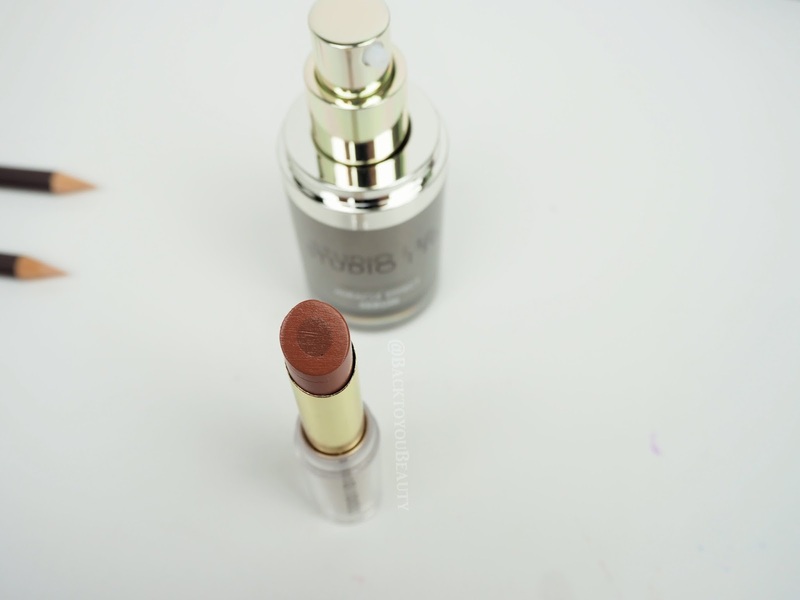 Any hoo, it is still a very lovely, tinted lip product that really does make the lips feel nourished in this still quite cold weather we are having. Made from 100% natural plant butters, Hyaluronic Acid, Vitamin E and Marine Algae Extract, it works well at hydrating the lips, smoothing them out and making them look plumper. On the cheeks, on me, i’m just not sure, its a little too “Balm-ish” and a tad shiny, but I would love to hear your thoughts on this. This is a great all in one brow product with the colour one an one end and the highlighter the other. Super soft to apply to create natural looking, hair like strokes it is very long lasting and super creamy. How hard you press will decide on the colour you achieve so practice first on the back of your hand. The matte highlighter is genius and really makes the eyebrows look sharp and polished. 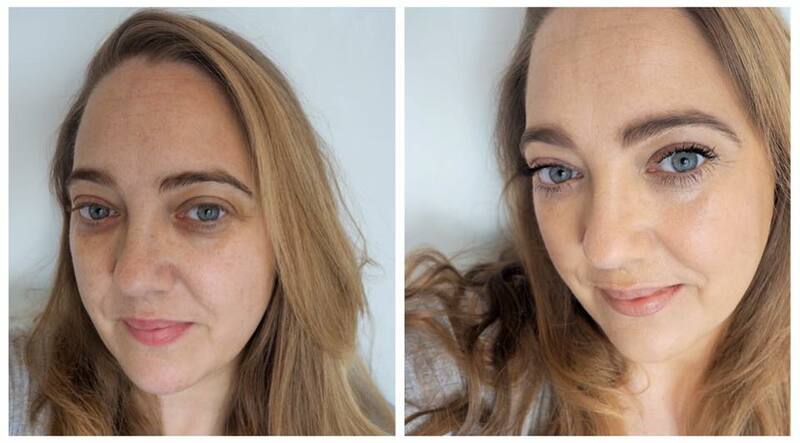 My thoughts on this collection – In the after photo I am wearing ONLY the TSV and mascara and I am wearing shade Medium. The Medium does have quite orange under tones and when I was first applying it I was unsure, however when I went into a more natural light it actually looked really nice. I do however, think I could happily flit between medium and light and would probably benefit more from the pinker light shade. The Lip/blush does have a tacky feel on the skin as a blush but is a beautiful lip balm and I enjoy wearing it that way. It is a dewy look so if you dislike that look you can add a light finishing powder if you feel you need to but all in all it gives a gorgeous, natural look to my skin. This complete collection comes in a compact gift bag, which shows how compact and versatile these products are. Their is no need to own lots of the same product when Studio 10 believe just one can do the perfect job. Great for anyone with a mature skin type that really needs something quick and easy to apply but that nourishes and looks after the skin. This complete 5 piece Picture Perfect Collection (Item No. 230748) is available as a TSV from QVCUK only, for one day on the 10th March whilst stocks last. If bought individually the products would cost £170.00 but this collection is incredibly under £45!! 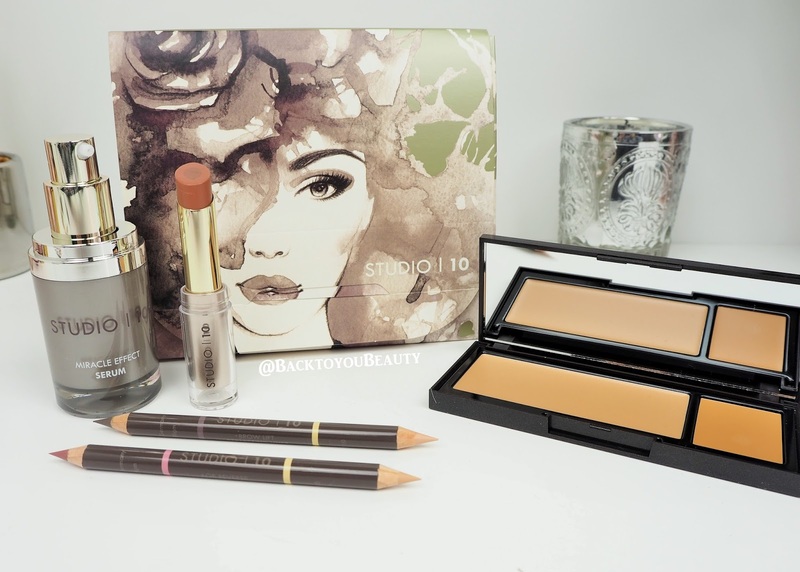 COMPETITION – How would you like to win £250.00 worth of Studio 10 products? After you receive your TSV, place your before and after photo on my Facebook Page HERE, under the special section which I will create and Grace Fodor will choose a winner. The competition will be open until the end of March and the decision is final. 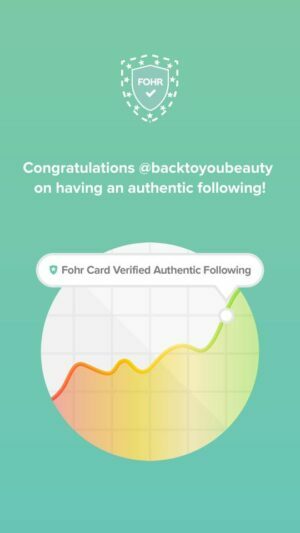 Please note that the Back To You Beauty Facebook Page is public so please make sure you are over 18 and comfortable with that as I cannot be held responsible for your photos being in the public domain. The products will be sent direct to the winner from Studio 10 and Back To You Beauty cannot be held responsible fore any loss or damage of these products. Have you tried anything from Studio 10 before? Which are your favourite products? I would love to hear from you. "Lets Talk : Can you be a feminist and love fillers?" "February Beauty Discoveries Featuring Make Up and Skincare"
This sounds like a great brand, lovely review!